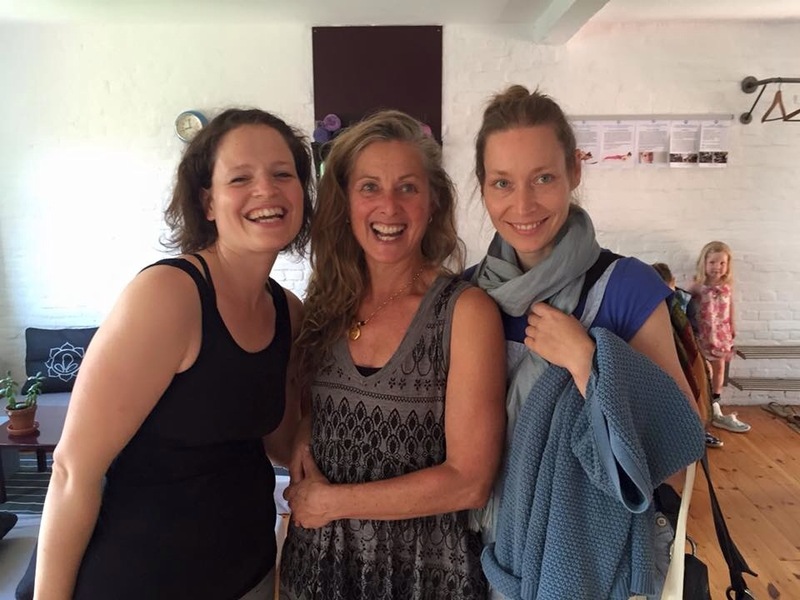 It’s been 4 years and a lot of water under the bridge since I last practised with Dena in Berlin and 6 years plus since I was with her at the Pantarhei yoga Shala in Hamburg. Inga has been bringing Dena to Hamburg for over 20 years now. 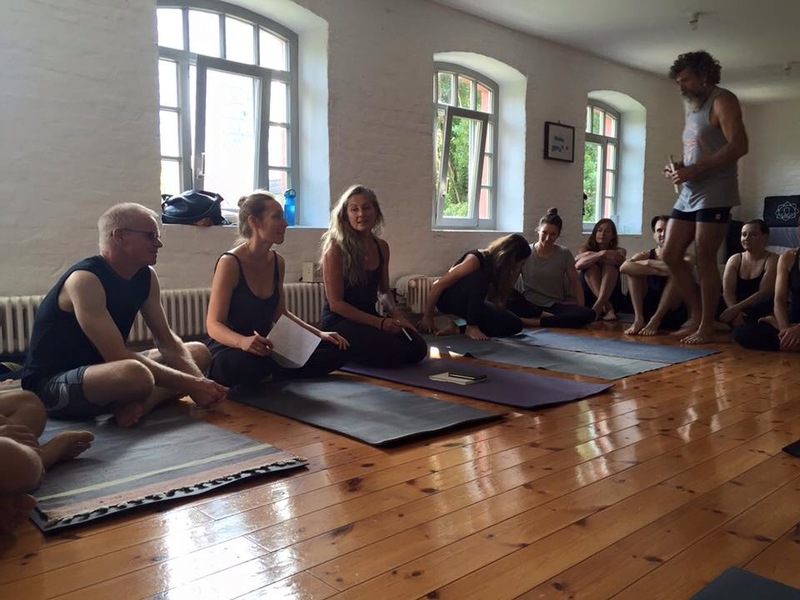 I recognise and know so many of the people who travel for Dena, Pantarhei feels comfortable surrounded by so many familiar faces, Inga and Dana who arrange everything, my friend Anika from yoga Hanover, Nicole and Konstanze from Berlin. As always on Day one it’s the circle as Dena goes round asking name, though she knows most of us, where you practice to and any injuries, making notes as she goes, asking the odd question. Then begins the mat re-arranging as Dena moves mats so everyone fits and has room. Day 1 is a very long led primary, breaking down the postures in to bites, lots of information, as Dena says “take what resonates”. She tells us Janusirsasana C is there as a lesson to appreciate our body’s natural limits, don’t kill the knees, be where you are. A few people stop at Navasana, but instead of just sitting waiting as they would in Mysore Dena has them balancing light blocks on their heads and lengthening their spines for the count of 5 as the rest of us do the “fun stuff” from Bhuja through Gharba, then she gets them to join in again at Baddha Konasana. She interrupts the flow of seated to go through the jump through, heals pressed down in Down dog, chin on chest stretching the back of the neck, then lift the heals, look forward and jump, so it’s forward rather than down, though my shoulder is nowhere near a fan of jumping through still. Upavistha B she has us try to lift while holding the feet, it won’t happen if you don’t try. Backbends in led are not my favourite, I need my own time to get my shoulder in the right place, so I only managed two when she had counted 4 UD’s. Closing, followed by chanting. Now it’s how I like it mysore practice, starting with chanting and philosophy intertwined through some sutras “Sa Tu Dirgha Kala…..”. 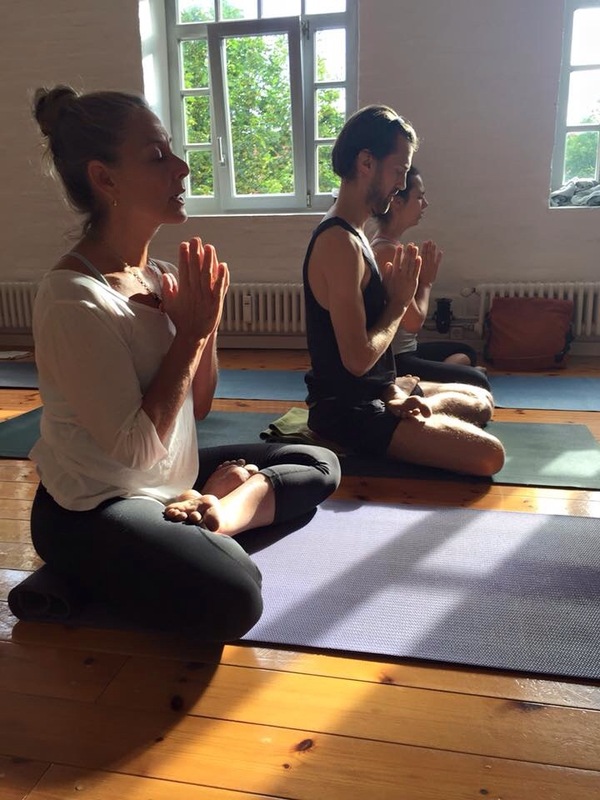 Then it’s Pranayama, 3 minutes just following the breath, before the deeper exercises of breathing individually in to the front, sides, back and heart, before she finally invites us to stand and chant the opening mantra before she quietly says “practice”. The room soon turns in to a Sauna, the heat makes everything feel more open, unlike last time I was in Hamburg, this weeks it was sunny and 80+ degrees every day outside and who knows what temperature inside the Shala. Dena walks up the middle, she stops in front and watches and you start thinking what am I doing wrong, though she may not actually be watching you, but it keeps you honest and on your toes. 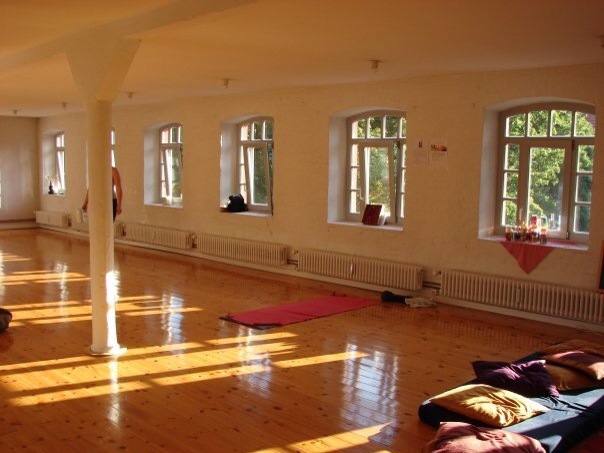 During the days she picked me up on the position of my standing foot in the Marichyasana and my drishte points, particularly in Navasana, toes not ceiling, though without my glasses it doesn’t make much difference to me. One morning I’d got myself in to Supta K, she asked the Assistant if she had assisted me in to it, “no by himself” instead of leaving me she sat on me and proceeded to put my feet even further behind my head! Dena reminds me a lot of Cary in that she has the ability to appear from nowhere, prodding the thigh to make you engage or tweaking something. The heat made my little bit of intermediate feel relatively easy, Pasasana binding on both sides despite the Pretzels. One morning she stopped to give me an individual Salabhasana lesson, how my big toes should be touching in parallel and not twisting in so my inner thighs stayed together. The sweat meant my left arm slipped away in backbends and my grip in Bhekasana wasn’t great without my usual chalk ball, I didn’t take it figuring Airport security may think it looked suspiciously like a white powder of another type! Luckily on day 3 I came across a sports shop with a Climbing Equipment department that sold small solid blocks of grip chalk, that helped a lot. The next day I did Bhekasana with a better gripping left hand position, Jack came to assist and I assume Dena must have looked across at him to be careful of my shoulder, so he says “you awright down there?”, “yep no problem”, he must have looked across to Dena as he said “Kev’s a tough old dog!”. Is that an Aussie term of endearment I wonder. Dhanurasana as usual now my last posture, I’m beginning to feel that pose in my upper back. 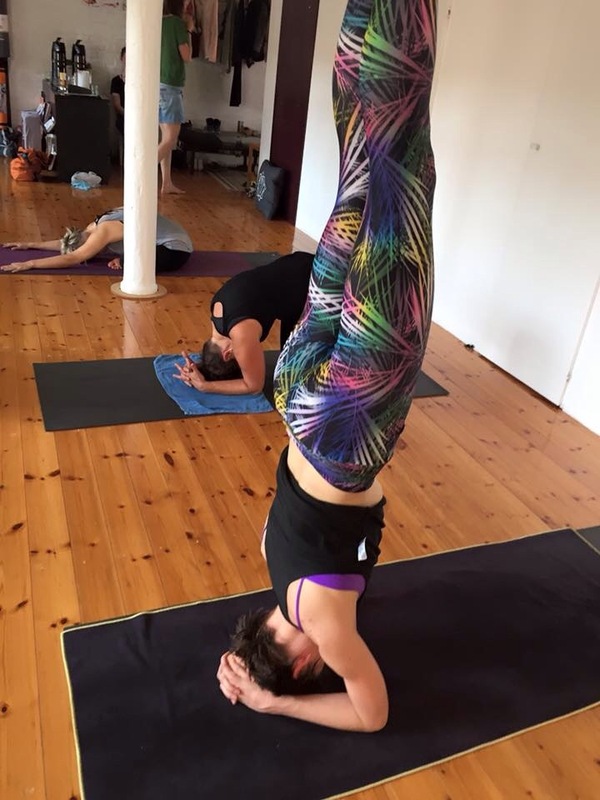 When I can take my time Urdva Dhanurasana is coming back, Dena had us doing 3 push up and down, then 5 coming down to the head and trying to walk the hands in on each one, once I’d got my block of hand chalk I had the confidence my shoulder wasn’t going to give way on me. Dropbacks are still a work in progress, I’m trying to control the descent as much as possible, Dena said that’s ok, but it looks like I’m climbing down a rope, rather than letting it flow. She also got me to stretch up more before going back and to aim for my feet to try and make a higher arch. With her standing on my feet every day it’s a whole different ball game, though I still veer to the right and she would tell me to steer it. But getting help for a run of days instead of just once a week makes a huge difference, also she had me do 5 or 6 dropbacks with her every day. 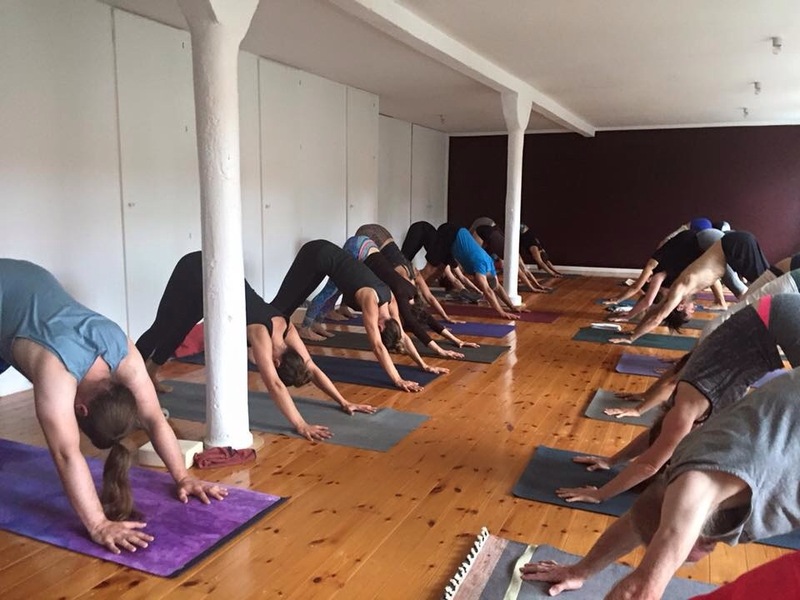 You can’t hide in Closing postures either (no Finishing Room at Pantarhei), legs too high in Uttana Padasana, drishtes and Sirsasana minus the wall. Savasana in the Lake I’ve made. Dena is as much about how the practice is good for and affects the hours when you are not on your mat as the asana you do on the mat. She makes sure everyone can do it, so we go to Mari C, then Navasana, miss out the fun stuff, back in at Baddha Konasana to Ubhya Padang, then closing, backbends with various options to fit various abilities, Sirsasana with a very long , slow count, no I wasn’t still vertical my the time she got to the end! Chanting after Savasana and then sitting in the circle as we had begun 6 days earlier. It was a very intense week, nearly 3 hours each day, unlike some I could rest and hang out, others had to go to work. Dena is an incredible teacher with a depth of knowledge and experience very few can get near. She always pushes people that little bit more, in some cases she presses buttons, but it’s all done with the best of intentions. I just hope I don’t have to wait another 4 years to practice with her again. This entry was posted on August 1, 2016 at 1:46 pm and is filed under Uncategorized. You can follow any responses to this entry through the RSS 2.0 feed. You can leave a response, or trackback from your own site. Why I prefer going to Germany, I understand enough to work out what’s going on. As you say you can unpick what looks a ridiculously long word in to it’s components. Unlike English, when Jack made the “old dog” crack I saw the girl opposite wrinkle her face trying to work it out! As a climber, I can tell you that bringing your magnesium(ball) is no problem at all flying. We take even powder magnesium with us at the plane when we go climbing somewhere. So next time, just take it with you! Love reading your blog. If you still have it you could take the label with you. But no worries next time and keep up the practise!